Email marketing is one of the most misunderstood marketing tactics. Many marketers send newsletters, promotions, coupons, incentive offers, educational content, surveys and business updates to their entire database, or in another example, send generic sounding responses. This is a relationship killer that misses the opportunity to give customers only the information they really want to keep them engaged with your brand. We use email marketing as as a key tactic to segment audiences, nurture leads and send highly relevant messages that convert to sales. It’s all part of our Hubspot marketing automation platform. For example, prospects that show “interest” in your product may receive an email that contains information that compares your products with competitors. It’s essential to understand the technical requirements and metrics of email marketing. Click Through Rate (CTR) – Allows you to measure performance of every individual email you send. Conversion Rate – Define a call-to-action and measure it to keep track of your goals. Bounce Rate – “hard” and “soft” bounces measure how many emails fail to get delivered. List Growth Rate – Keeping track of your subscriber base and the rate of loss over rates of gain keeps your list at healthy levels. 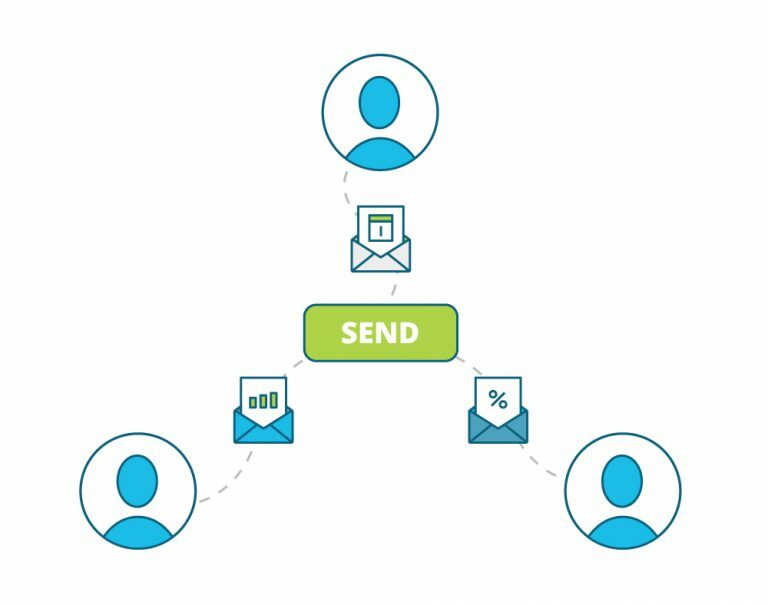 Email Sharing or Forwarding Rate – Are your emails being shared? This is a great way to build new opt-in contacts. Overall ROI – What is the potential and actual revenue from your email marketing program? HOW IS YOUR EMAIL MARKETING PROGRAM PERFORMING?